Kim Kardashian slammed over raunchy Instagram post so soon after rapper Nipsey’s death. Perhaps she's trying to divert attention from their KUWTK promo shoot after fans pointed out some awkward photoshop blunders. But then again, it's Kim Kardashian so maybe she just felt like posting another raunchy Instagram picture. The mum-of-three took to her social media to promote Kourtney's secret new venture Poosh.com. No one knows exactly what it is but according to Kim's post we may find out tomorrow. Helping her sister spread the word, Kim posted a snap of herself wearing what looks like a sprayed-on champagne-coloured swimsuit with the caption "Poosh.com Tomorrow". She paired her one-piece with an oversized pair of pink tinted sunglasses. 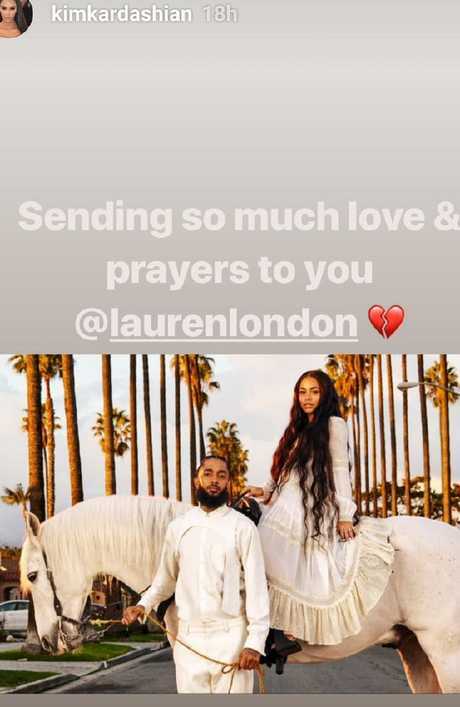 "Can we honour the king that just died and not worry about the spotlight being stolen, can we grief I thought your family we're close with @laurenlondon at one point, check on her! RIP @nipseyhussle," one fan posted on Kim's image. 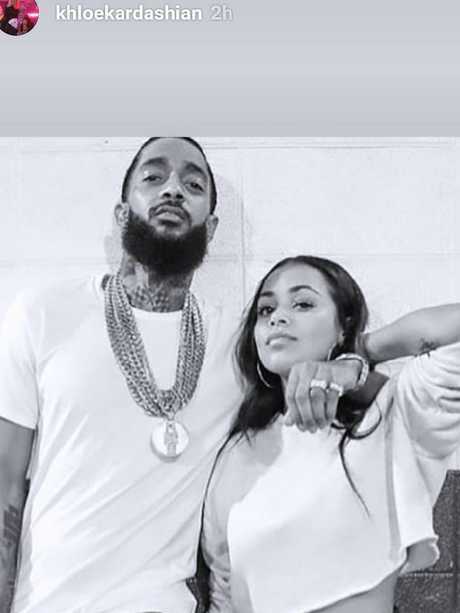 Kim had posted this tribute of rapper Nipsey tagging his girlfriend Lauren London to her Instagram story, but fans said her recent selfie was too soon. "Kim. We don't want to see this foolishness today. Give us a few days." "It shows how image is a priority here vs spreading positivity after yesterday's tragedy in the entertainment industry. But hey, don't forget the selfie." 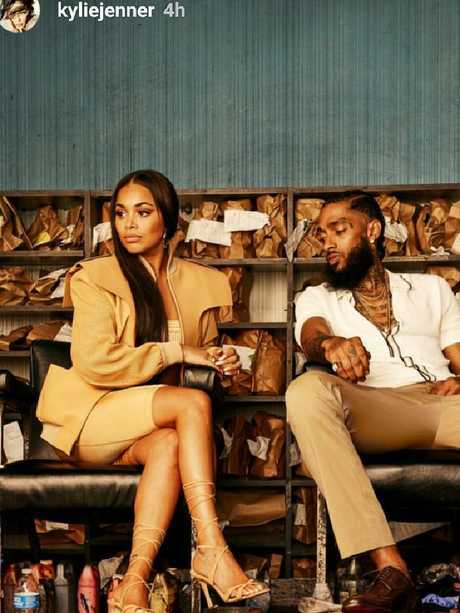 Kim had posted an image of the couple to her Instagram story saying "Sending so much love & prayers to you Lauren London", with a love heart emoji - but fans were clearly not ready for another Kim selfie so soon after his death. Khloe posted this snap of the couple. It is believed Khloe and Lauren’s friendship turned sour after Khloe started to date Lauren’s ex, singer Trey Songz. Lauren was believed to be a friend of the family, but it is understood that younger sister Khloe and Lauren's friendship ended when Khloe started to date London's ex, singer Trey Songz. "This really breaks my heart. Sending you love @laurenlondon," Kylie wrote alongside a photo of the couple. Kylie also paid tribute by posting this picture on her Instagram story with the caption, ‘This really breaks my heart. Sending you love @laurenlondon’.